Your Newport Beach personal injury attorney will look for signs that a witness is forgetful, such as the witness claiming that he or she does not remember. While this is an appropriate response if this assertion is true, it is not when the witness is lying to your Newport Beach personal injury attorney. This process allows a lawyer to show a witness a document or other piece of evidence in an attempt to jar the witness’ memory. 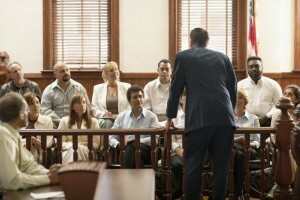 The lawyer may hand the witness a piece of evidence and ask him or her to review it and identify it. After reading the information silently, the lawyer will then ask if the witness’ memory has been refreshed. If it has, the witness may alter his or her previous testimony. Another strategy of refreshing a witness’ testimony is by asking other questions and then circling back to the previous topic with which the witness experienced difficulty remembering. If you would like help with your personal injury case and the examination of witnesses, contact a personal injury lawyer from Russell & Lazarus APC by calling 949-851-0222 and scheduling a confidential consultation regarding your case.